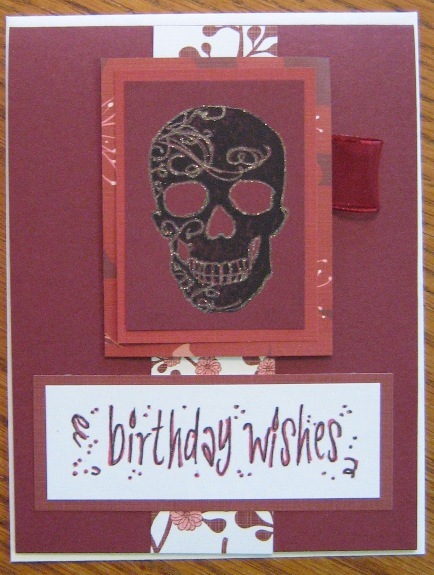 For my niece’s birthday, I put together a skull card. She used to be into skulls and I hope she still is! This card is stamped in a reddish theme. The skull stamp is from Inkadinkado. The birthday stamp is from Hero Arts. A glitter pen makes the skull stand out. A little loop of ribbon adds a little class. I almost put the floral strip of paper to the left, but I think I like it centered. A quick and easy card.